Do you need the security and convenience of a CB radio for on the road communications? 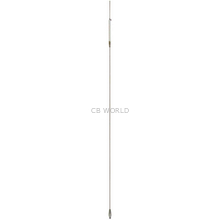 Don't want to stand out from the crowd with an antenna that reaches to the moon and stars? 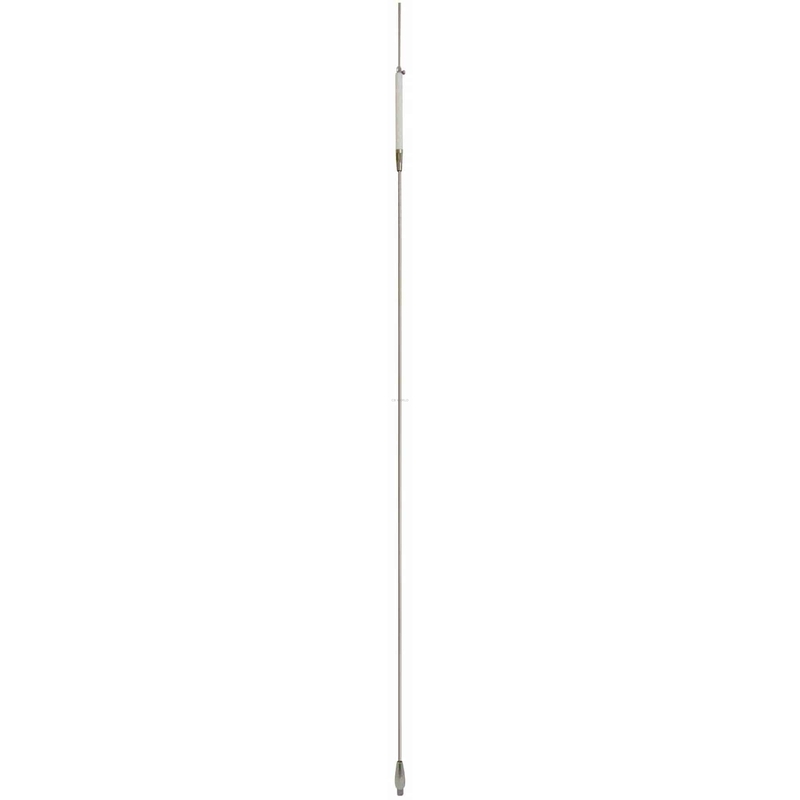 Hustler's FG-27S steel center load CB antenna provides big performance in a discreet radio aerial. A slender coil stainless steel antenna that tunes up nicely and provides the reliability and versatility that professional drivers demand. The Hustler FG27-S looks more like a standard AM/FM antenna than the CB radio antenna that it is, but delivers up to 150 watt power capabilities in a 48 inch stainless steel whip. Completely installable to any 3/8 x24 threaded antenna mounting solution this center load will work great with your CB radio. The Hustler FG27-S is compatible with any mounting solution that employs a 3/8 x 24 threaded antenna stud. Don't forget to install a high quality antenna spring to provide protection for your antenna in the event that low hanging obstacles are encountered while driving with the Hustler FG27-S CB antenna. 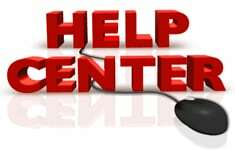 CB World's expansive CB radio help center has all of the information you'll need to choose the best CB antenna spring. The Coax cable that is paired with your antenna has a profound effect on your radios performance. Be sure to select the correct coax cable and connectors that fit your radio equipment. Reviewing CB World's guide on how to install a CB radio is a great place to the read up on the information you'll need. Don't blow your radios performance (or circuits). SWR (standing wave ratio) tuning is made easy with the experts how to tune a CB Antenna step by step guide.